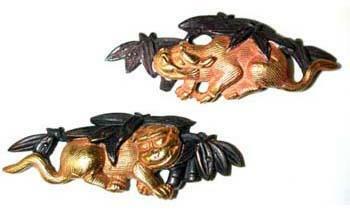 Tigers and bamboo is a common theme with Japanese menuki. This set would suit either a katana or wakizashi. Multiplate only, 1.6 inches (40 mm) in length.